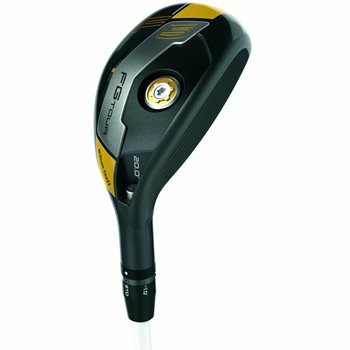 The Wilson Staff FG Tour F5 hybrids feature a tour preferred head shape and a Carpenter Custom 455 maraging steel face for increased ball speeds. While delivering extra distance and versatility, they also feature Fast Fit Technology that allows for quick and easy loft changes. You can adjust the loft -1/+2 degrees from the standard loft. With the mass weight placed low and close to the face, optimal launch and decreased spin will help increase distance.